The United States Truck Driving School is a company which provides truck driver training in the Colorado area. 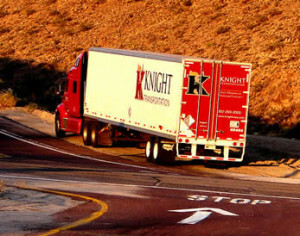 With the demand for truck drivers increasing each year, truck driving may just be the best career opportunity for you. Employment is guaranteed with about 200,000 job openings for the next few years. If you cannot afford to pay for your own truck driver training, the company will be able to provide you with the financial assistance that you need. They also have partner trucking corporations who can offer tuition reimbursements after you get hired. United States Truck Driving School also offers truck driver training through accredited schools near the applicant’s location. This way, you can save hundreds of dollars yet still get quality training. The company only has several truck driving schools that they recognize to be the ones that they can provide the best truck driver training in a particular location. 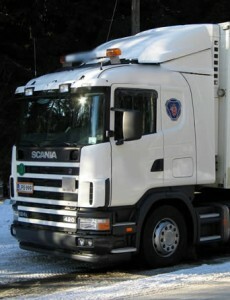 They will refer you to one of their accredited schools if you wish to train for truck driving. The United States Truck Driving School will pay for the costs of the training or put a $500 credit for the tuition fees. To those who will be taking military training, they offer the “Drive the Guard” program, which allows those who will be enlisted to enjoy several benefits. One of which is they will continue to accept pay while they are undergoing the truck driver training. The company will also offer you a “pre-hire” contract with participating motor carriers which can assure you a spot on employment after you have finished military training. This is definitely an advantage especially to those who cannot see any other job opportunity after their training in the military. They can also enjoy tuition reimbursement during their employment with the motor carrier. The United States Truck Driving School will offer you the services that you need in order to find a career path in truck driving. They have job placement services as well as they assure that you get the best possible truck driver training in your own location. This means that you get to go home more often than you expected and enjoy more free time with your family while earning a good pay. This is hardly the situation with other truck driving schools as students would sometimes need to travel a hundred miles just to get the proper training. The United States Truck Driving School’s Drive the Guard Program was made by a partnership with the National Guard and the Commercial Driver Training Foundation, Inc. which is a unique aspect of this school’s truck driver training program. Due to the program, trucking companies often hire a lot of graduates by the United States Truck driving school with their highly skilled students who have had military training. Hence, you can easily expect a job offer after you finish your military training. Aside from that, you can also expect to get a higher bonus upon retirement from the service as well as a better security of tenure on your job. A commercial driver’s license in Colorado will let you drive commercial vehicles within and outside the state if you are a resident in this state. The driving requirements are the same in every state as the federal rules are what are implemented. The fees are different though depending on the state policies. In Colorado, there are several requirements that you have to submit and comply with in order to apply for a CDL. The state of Colorado issues different classes of CDL depending on the type of commercial vehicle that you will be driving. But in general, you will be needing a CDL if you will be driving any of the following: a motor vehicle with a gross vehicle weight rating of 26,000 pounds; a passenger vehicle that can carry 16 passengers or more which includes the driver; and vehicles that require a placard for the hazardous materials that they are carrying. These types of vehicles need to be driven by drivers that possess a valid commercial driver’s license within and outside of the state. The state requires several documents to be presented before you can apply for a CDL. The applicant must pass both the written and driving tests before he can be granted with a license. To apply for a written exam, the applicant must submit the following documents to the Colorado DMV office: a US DOT Medical Certificate, a CDL Instruction Permit if a first-timer, valid IDs, and corresponding fees for the license. The testing center will not provide for the test vehicle so the applicant should apply to third-party testers if they do not have their own commercial vehicles. The minimum age requirement for those who will be seeking a CDL permit is 18 years old for intrastate driving and 21 years old for interstate. You will need a current medical certificate issued by a DOT medical officer in order to determine your fitness for road driving. You also need to submit your Colorado driver’s license as well as your Social Security Card for your identification. For additional endorsements such as that for Hazardous Materials, you will need a criminal background check as well. The testing fees are $35 for a CDL license and $14 for a CDL permit. You have to study the Colorado CDL Manual before applying for a commercial driver’s license in Colorado. This is to ensure that you will successfully pass the exam and that you will understand about your future employment more carefully. The driving test will be conducted after you have successfully passed the written exam and you have 7 days before you can retake it if you fail. The driving test will be about pre-trip inspection, driving skills, and maneuvering the vehicle in different types of traffic situations. The license is valid for up to 5 years although you may need to update your medical certificate more frequently. If the license expires for more than 1 year, you will be required to undergo a written and driving test again. Getting a commercial driver’s license (CDL) in Colorado will allow you to drive commercial vehicles within the State if you are a Colorado resident. Like in all other states, getting a CDL involves passing a written exam and a road skills test. To get a CDL you must be able to demonstrate your competence in pre-trip inspection, basic vehicle control, and on-road driving. In this state, you can get a Class A, Class B, or a Class C license. 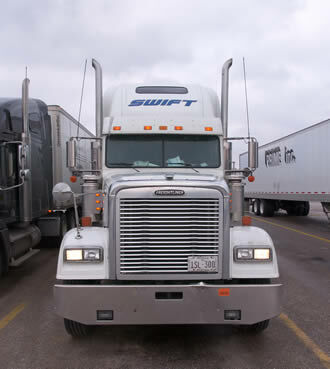 The type of commercial vehicle you will be allowed to drive will depend on which class of CDL you are trying to obtain. • Vehicles that require a placard for the hazardous materials that they are carrying. Enrolling in an accredited truck driving school will give you the training and experience you need to obtain a CDL. Not only will enrolling in a truck driving school ensure that you will successfully pass the exams, but it will also help you understand your future in this line of work. The United States Truck Driving School Incorporated offers truck driver training courses at two convenient locations in Colorado. It offers a complete 3-week training process, from helping you obtain your DOT physical examination and CDL Class A learner’s permit, to completing the CDL examinations in the State you wish you take it. SAGE Truck Driving Training Schools have provided top quality truck driver training to thousands of students across the U.S. for more than 20 years. Its CDL training program provides thorough driver training and trucking job placement assistance for the trucking industry. Each of its students is guaranteed to receive extensive training and maximum truck driving time behind an actual truck wheel. 5 Star CDL Professional Training, Inc. If you know of additional companies in Colorado that offer CDL training you can contact us for inclusion on this page. To include a driving school please use this contact form and include the name, address, and contact information for the facility.